If you are reading this, you most likely have an email account. Since 1971, email has been one, if not the most used internet-based form of communication. For this exhibition, we are questioning the ways in which we can communicate art through an instantaneous and extremely common source of communication. It is a democratic space that creates a more horizontal communication that opens doors to many new people and possibilities. A space where visual and non-visual narratives can occur. For this exhibition we invite artists to view the body of an email as a blank canvas, a digital canvas where art can exist. 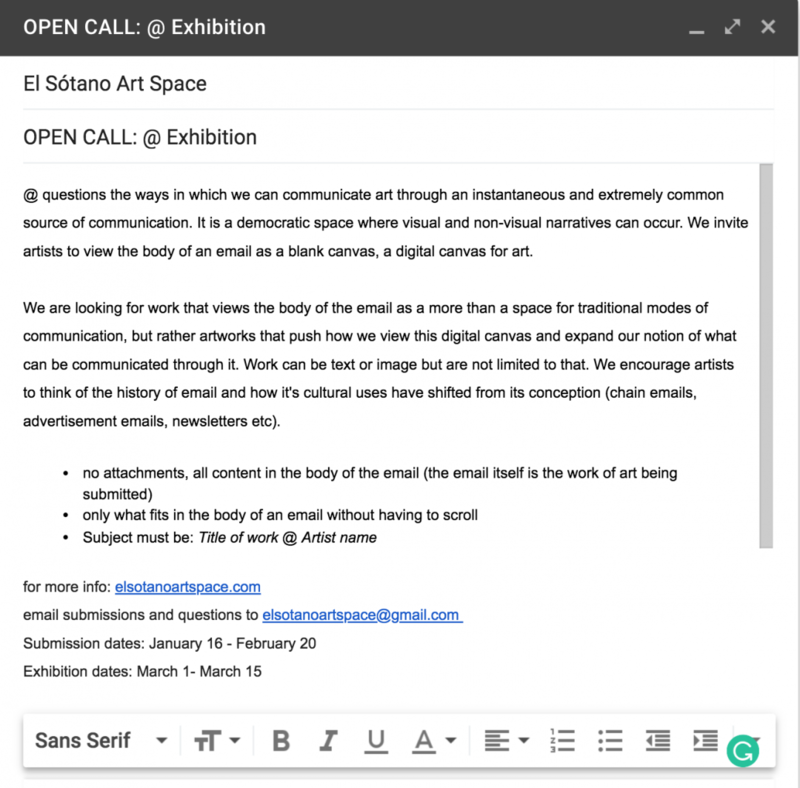 We are looking for work that views the body of the email as a more than a space for traditional modes of communication, but rather artworks that push how we view this digital canvas and expand our notion of what can be communicated through it. Work can be text or image but are not limited to that. We encourage artist to think of the history of email and how it's cultural uses have shifted from its conception (chain emails, advertisement emails, newsletters etc).